And just like that we have stepped into October. Even though Spring is the season where everything becomes new again, to me Autumn and October especially feels like the start of something beautiful. 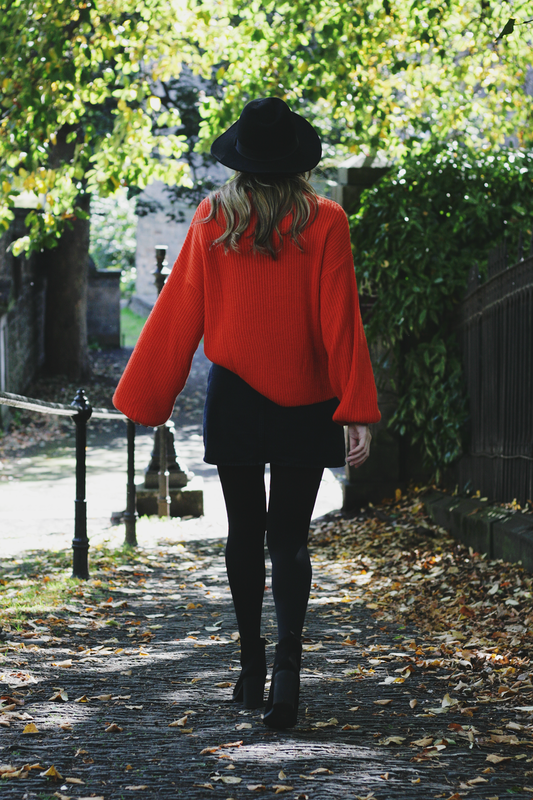 Even though Edinburgh has not yet become particularly cold, I have started to pull out by big knits and my online shopping lately now consists of 80% knitwear. With days becoming shorter and the temperature slowly dropping, the wanting to be comfortable increases and we wrap ourselves up in sweaters and big scarves (mine is pink and could basically be made in a dress, obviously). 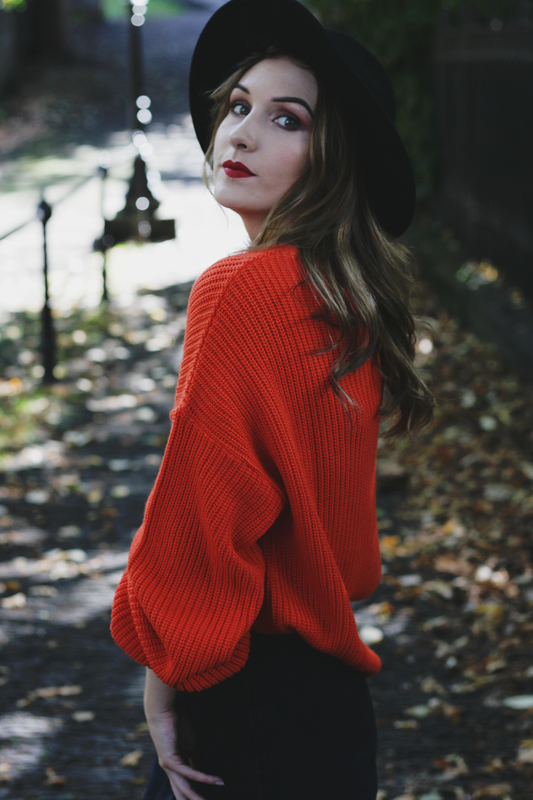 I have noticed that a lot of people during this time prefer to shy away from the colourful prints and colours, and step into their usual autumnal black coats. However, if you just take a look around the high-street and AW 2017 in general, red and brights in general have been playing a big part. 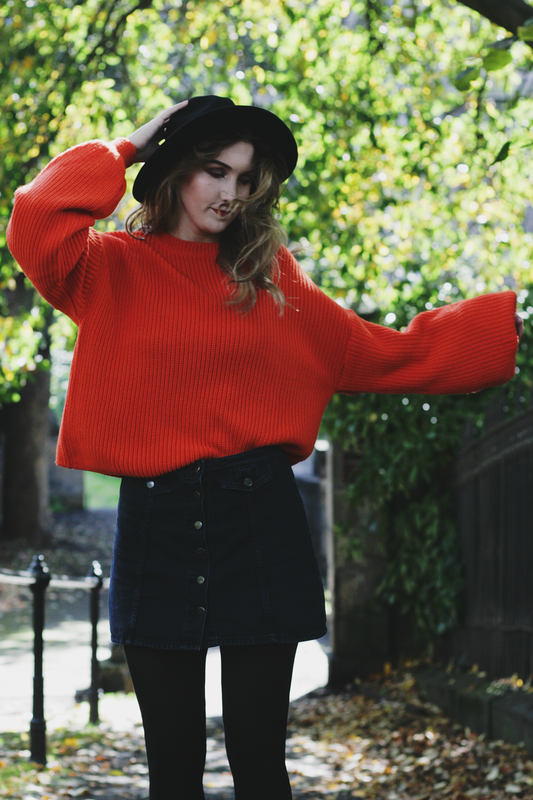 With red definitely being the colour of the season in my eyes, I had to wear this amazing, bubble sleeve sweater by ASOS. 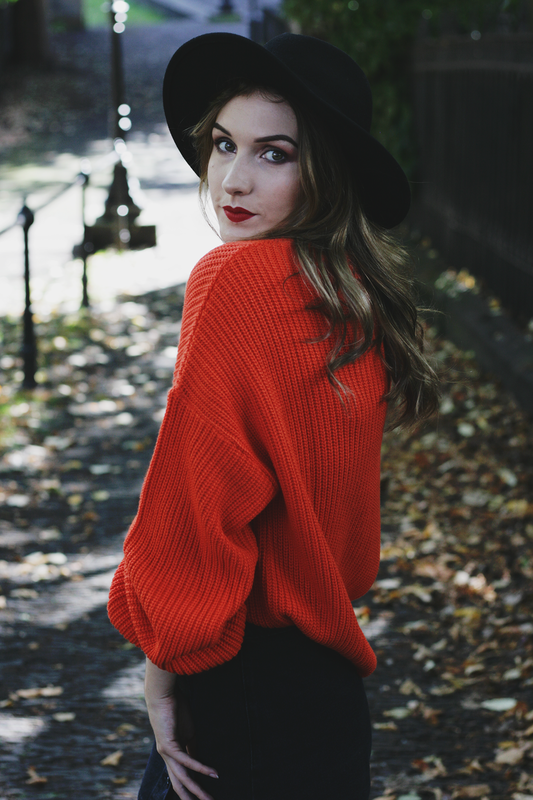 If you are a huge colour lover as I am, you can go for the statement red coat, or if you do not feel comfortable in bright clothing, some retailers like ASOS and Zara are currently featuring lovely great red berets, or ankle boots - perfect for getting on the band wagon. If neither of those sound like something you would fancy, just a red lip will do fine - mine is 714 from Urban Decay. 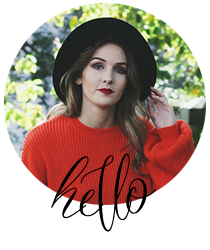 But enough with my red obsession, I hope you guys are enjoying the Start of October as much as I am, that Autumn has also brought you happy moments, even if those are just being able to cozy up under a blanket and put an autumnal movie on. As you see, I certainly am enjoying this time of year!